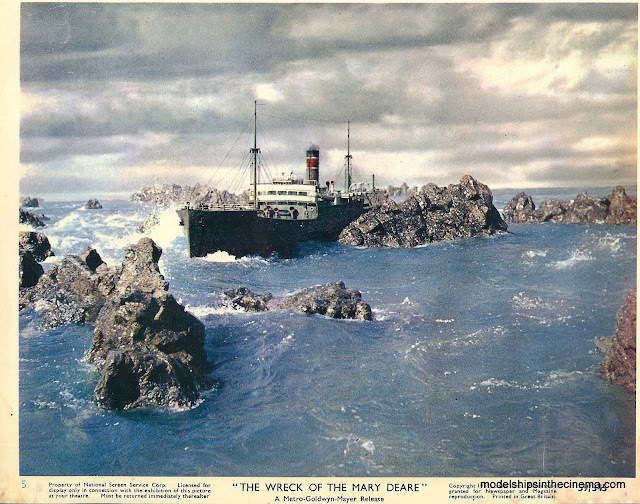 One of my favorite model ship movies, the Wreck of the Mary Deare has some marvelous miniature ship shots filmed in what was a 300 ft square tank on backlot 3 at MGM studios, now sadly housing. Visual Effects supervisor A Arnold (Buddy) Gillespie once again delivers some really effective miniature work with the merchant ship model of the title at 1/16th scale and 35 feet in length( 10.6 m) and a smaller tug boat miniature. 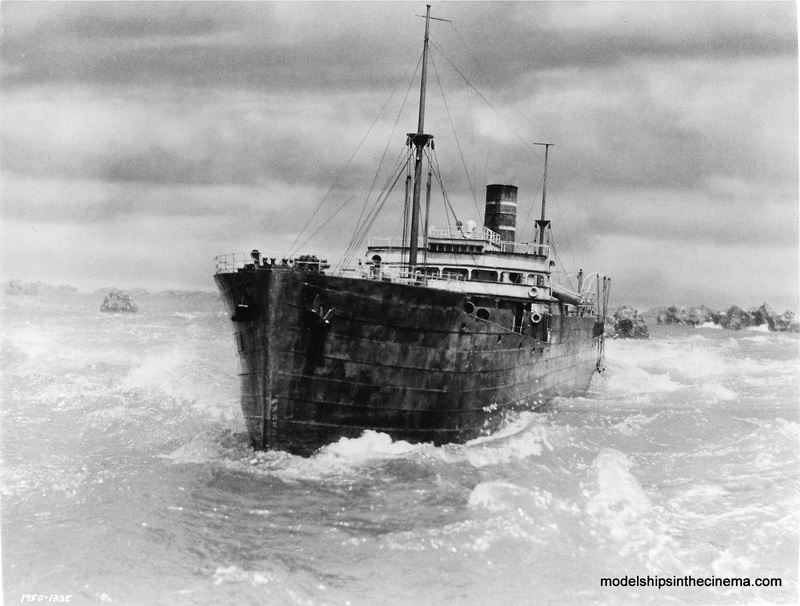 The models are very finely detailed with a rich application of weathering effects. The stills do not really convey the hammering the models receive from the miniature storm effects. The rocks were made of fibreglass in 10 variations which were mixed and matched to make different groupings. Battery powered pumps were inside each shell, accessible through an opening in the back. These were arranged to mix air and water and pump it out through nozzles just under the surface of the water producing the white water of the crashing waves upon the rocks. In the book The Wizard of MGM Memoirs of A Arnold Gillespie there are some fascinating planning drawings showing the layout of the tank and all the auxiliary equipment for the storm and wave effects as well as some great photos from the miniature tank shoot. 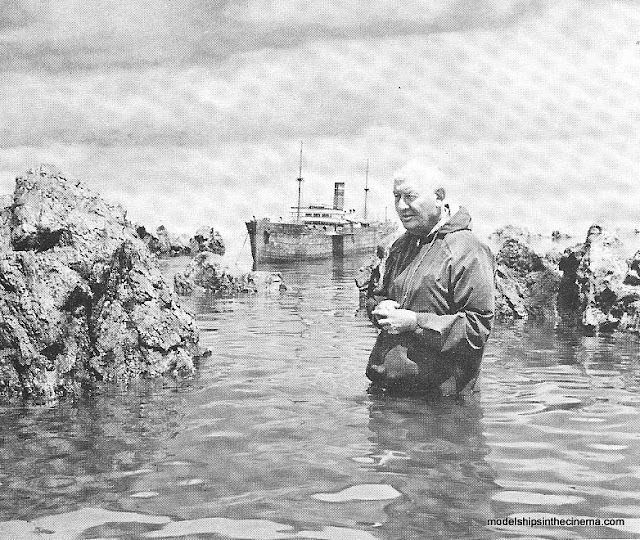 A Arnold Gillespie in the tank with the "star" of the movie. 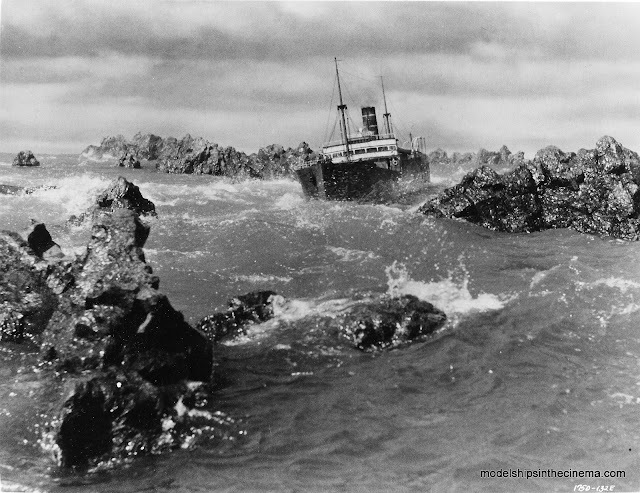 I think it is footage of the Mary Deare in the storm at night that was used in the extended TV version of The Deep (1977) for a prologue sequence that was cut from the original cinema release. That cut scene can be found on the extras of the Blu Ray release of The Deep. 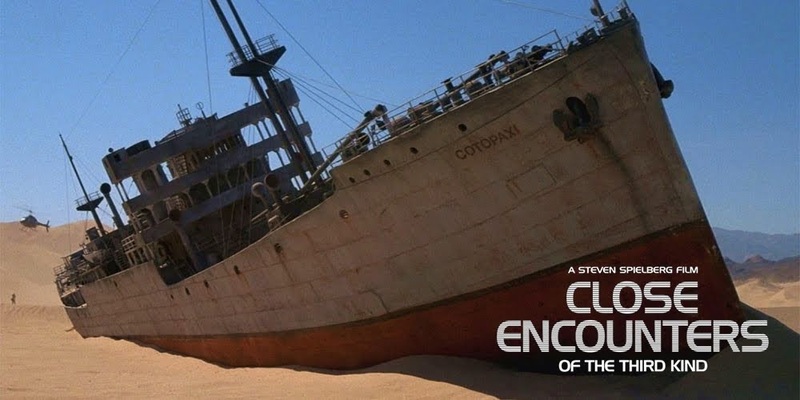 I am also of the view that it is a slightly modified version of the Mary Deare miniature used as the desert stranded ship the Cotopaxi in Close Encounters of the Third Kind the Special Edition (1980). 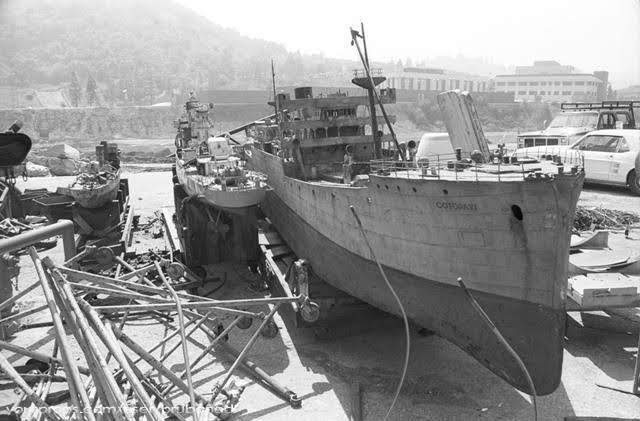 While the superstructure and rigging has some differences probably to look more like a liberty ship, I believe the hull form is identical. 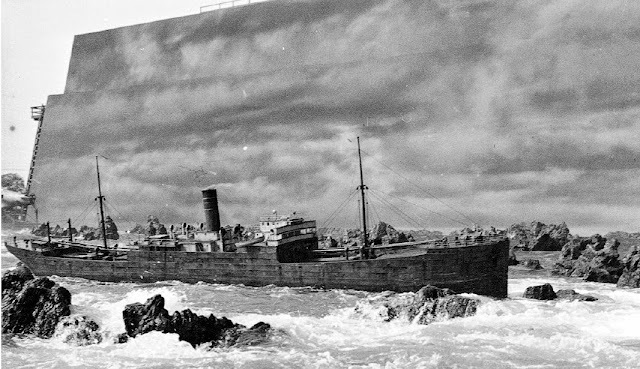 In the movie the ship model is being used as a foreground miniature with the actors far off in the distance making it look huge. It is all shot at the same time in the same environment and with the same sun light casting the correct shadow making for a convincing effect.